Is there a better alternative to Spek? Is Spek really the best app in Audio category? Will Spek work good on macOS 10.13.4? 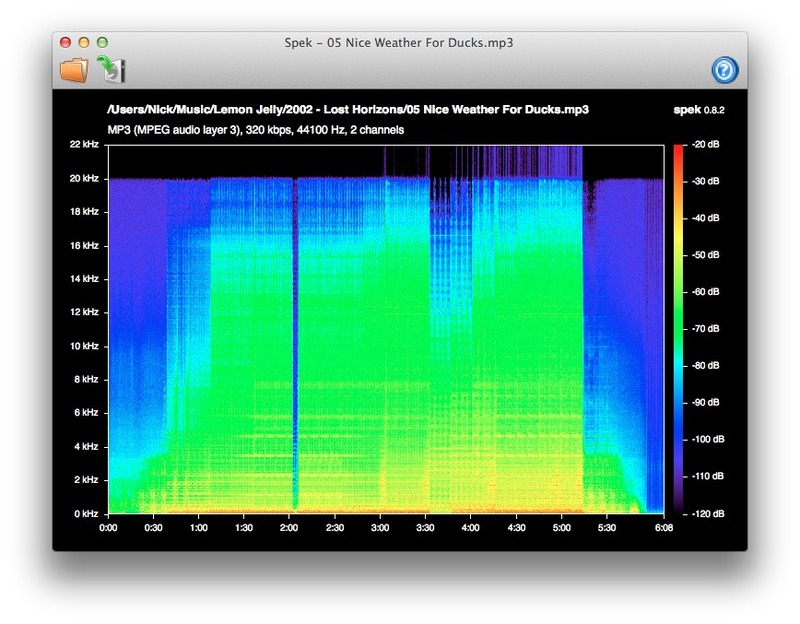 Spek helps to analyze your audio files by showing their spectrogram. Ultra-fast signal processing, uses multiple threads to further speed up the analysis. Allows to save the spectrogram as an image file. Adjustable spectral density range (#4). Switched from GTK+ to wxWidgets for better Windows and OS X integration. Single .exe version for Windows. Added translations in 11 more languages (totalling 19). Open .opus audio files (#39). Split out libspek and added unit tests. 24-bit APE support (upstream fix). Better toolbar icons on Windows and OS X (#21). Installer options for app shortcuts on Windows (#1). Associate with audio/video files on OS X (#2). Use non-deprecated FFmpeg decoding API. Moved downloads to Google Code since GitHub no longer offers downloads (#38). Compatibility with retina-based Macs (#32). Fixed crash when the preferences file is not writable. Fixed crash when the home directory is not writable. Fixed duration and rendering for some video files. Fixed compilation with newer FFmpeg and libav versions. Proper handling of Unicode file names under Windows (upstream fix). Don't lock the input file on Windows (#26). Fixed mapping of the spectral density into the palette. Fix magnitude calculation for the first and the last frequency band. Support planar sample formats (#44).